If you would like to change your email address, home address, mobile number or landline, follow the steps below. Note: The Edit option is only available if you have the Contact Details service enabled. Select Edit on the right-hand side of the screen. Edit your contact details accordingly. 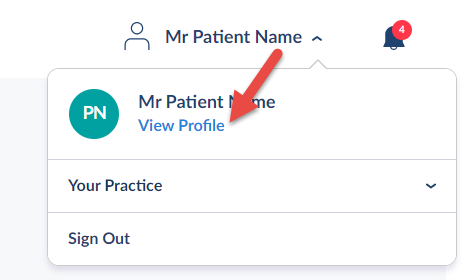 The request is sent to your practice and is displayed as 'Pending' until approved by your practice. The pending request can be cancelled at this stage if required.